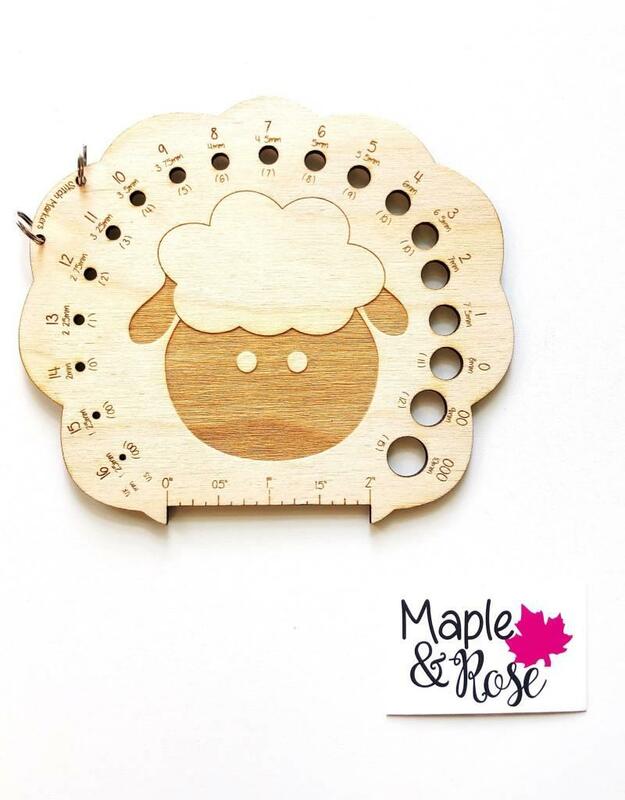 Maple & Rose Sheep Needle Gauge - Birch - Spun Fibre Arts, a local and online yarn store specializing in natural fibres. 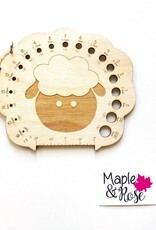 The perfect multi purpose tool for your knit or crochet kit. Needle gauge, 2" swatch measure, and two stitch marker holders. All wrapped up in the cutest sheep you can imagine! Made in Canada, from Birch wood.